How long do bull runs last? Dark days are upon us, the market is gloomy and we’re not any closer to seeing the light, but what happens once we reach the end of the tunnel? One could summarise that these bull runs were over and done with within 24 days on average with an average increase of 641%. If this is the case, then it leaves us to assume that any such future bull run with an increase of around 600% within 24 days will either be near its peak… or will continue to do better than average. Interestingly, back in March of this year Tom Lee, head of research at Fundstrat set out on a similar experiment. 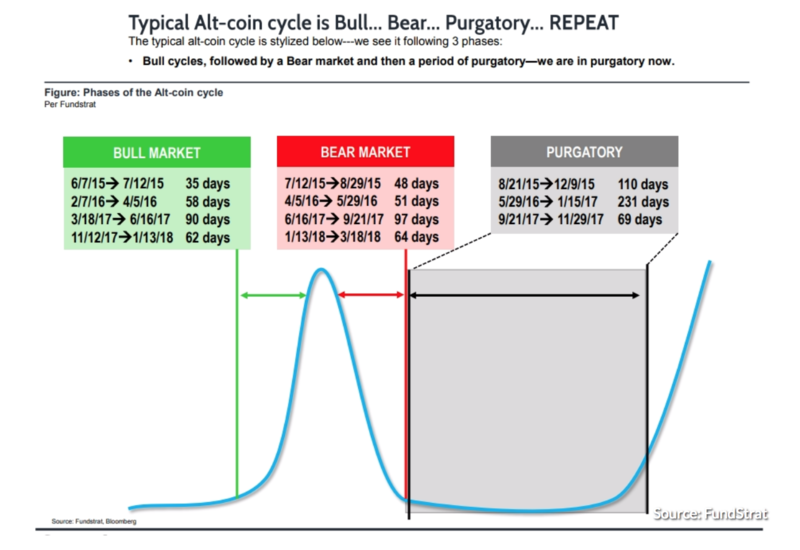 Lee’s hypothesis stated that crypto’s bull and bear markets are cyclical, and made up of three stages: a bull run, a bear market and … nothing, until it repeats. Do you think it's possible to predict this market? Yes, analytics go a long way in telling us probable outcomes.